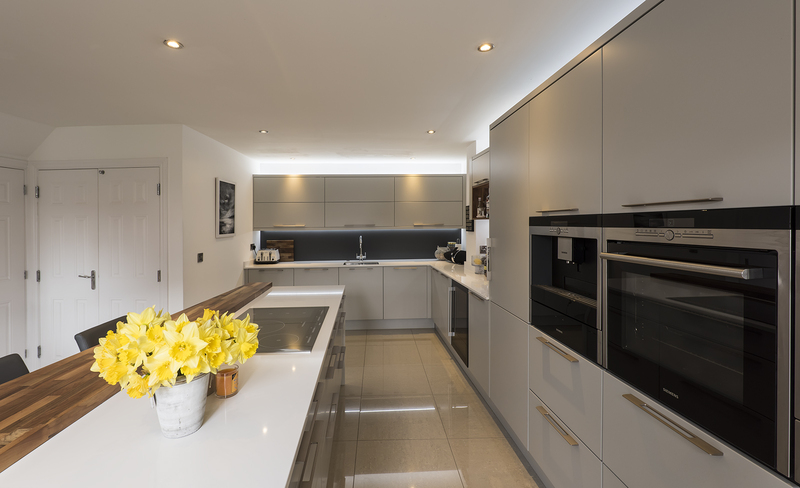 Light Grey Zola Matte doors were chosen as a contemporary finish to this beautiful home in Portishead Marina. 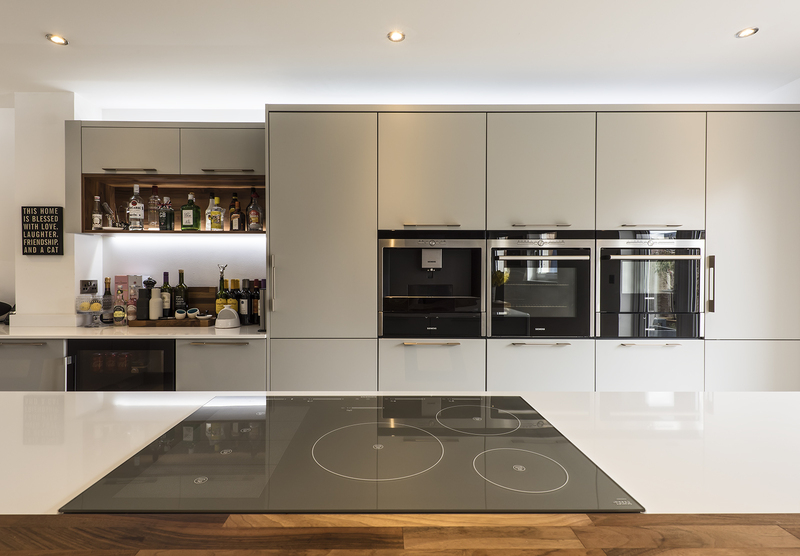 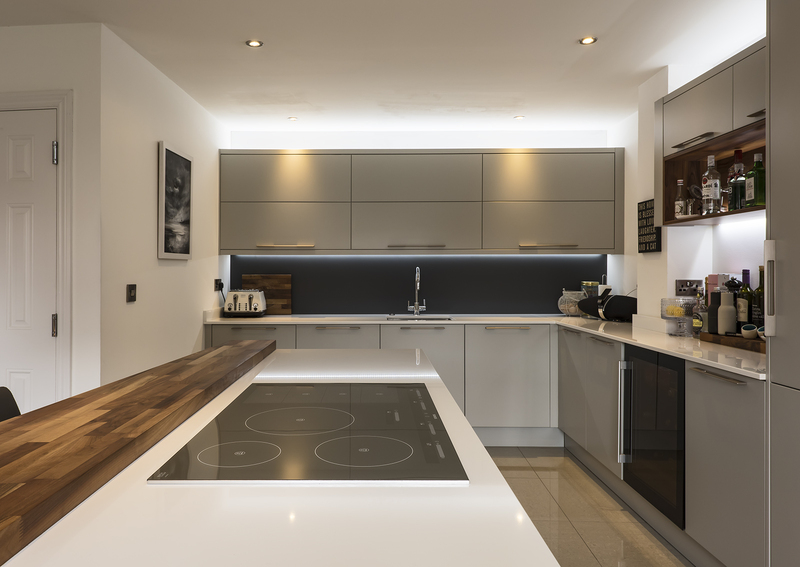 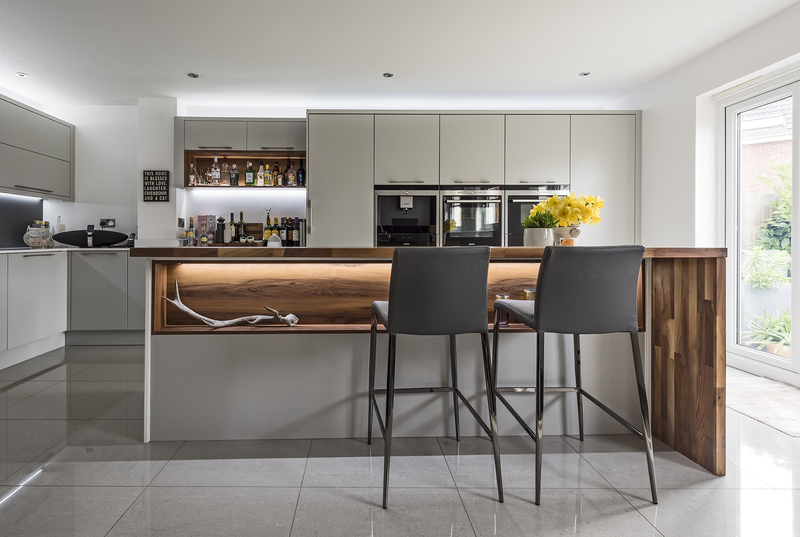 High end Siemens appliances were chosen, white quartz and solid walnut worktop with a whole host of beautiful features to compliment modern living. 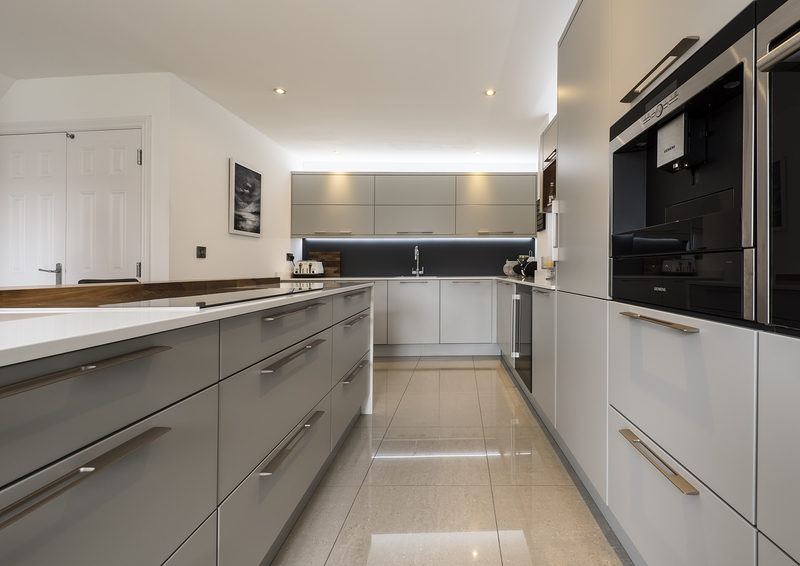 This was a large project that incorporated the whole of the downstairs to include a laundry room, downstairs bathroom and new tiled flooring throughout.